Bringing your production costs down and receiving grant support to do that at the same time? Be aware that it is possible via the Rural Energy for America Program. But what does this program do? 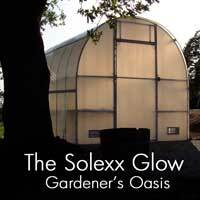 And is it also available for greenhouse growers, local growers or urban farmers that are not located in rural areas? New construction and building an additional acreage is usually not an eligible type of project for this program, however, if a grower has high tunnels or hoop houses that consume a lot of energy, and they can be replaced with more energy efficient greenhouses that have the same footprint, they can be eligible to apply for a grant. The USDA will not pay for the structure itself, but you can apply for a grant for energy conservation. June 30 is the deadline to apply for the REAP grant. But if you do not have enough time to make a decision of your plans before June 30, there is another deadline later this fall. The date of a second deadline has been not yet announced, but there will be another deadline this fall, so every grower will have a chance to submit an application for the USDA REAP. I’m very interested in your products and applying your technology in Colorado. I would like to talk to a representative about our large scale needs.